Which Shakespeare Character Is Trump? 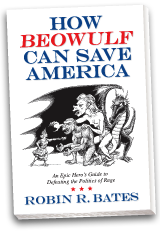 It’s satisfying to see national pundits take a page out of Better Living through Beowulf and turn to the classics to understand Donald Trump. Okay, so NeverTrumper conservative Bret Stephens has probably never read this blog, but we both recognize how literature deepens our understanding of the world, including American politics. If history’s greatest novelists and playwrights were to come back from the dead so they could tell the improbable tale of Donald J. Trump, how would they do it? How might they capture the man and his presidency in all of its hallucinatory, absurd and terrifying detail when we journalists usually seem to come up short? Back in 2015, when Trump announced his candidacy, it would surely have been a comedy. 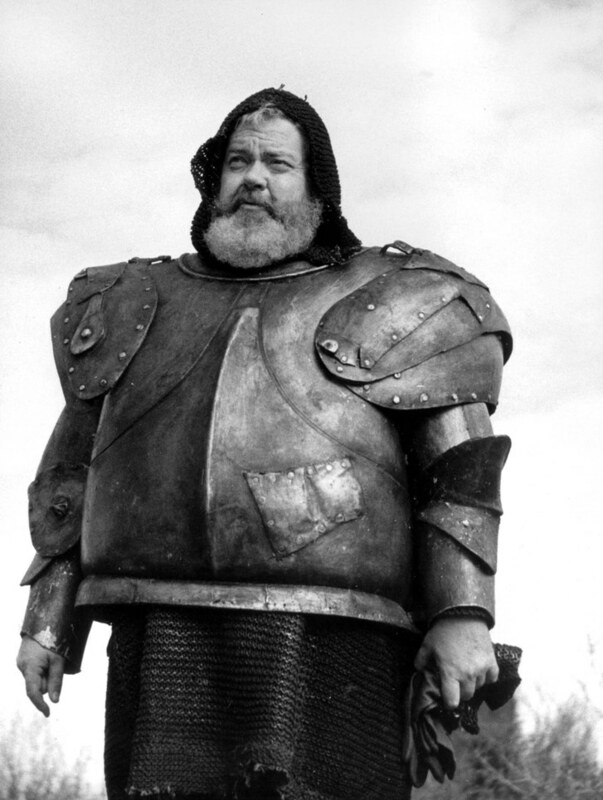 The Donald would have been Falstaff, that “huge hill of flesh,” as Prince Hal calls him, whose lies are “gross as a mountain, open, palpable.” Here we would have a character who always plays for the cheap seats — ribald and ridiculous; magnetic but pathetic — and who, fortunately, would be destined for nothing more. In my earlier column, I asked, “Could this be a foreshadowing of the Trump cabinet?” We’ve since received our answer in all the grifters and sycophants that Trump has attracted. Admittedly, it’s hard to picture Melania as a model for Lady Macbeth. But Roger Stone, Steve Bannon and Ann Coulter are perfect as the three witches. Banquo? That’s easy: Michael Cohen, both as living accomplice and ghostly reproach. Macduff, of course, is Bob Mueller. Another possibility: Richard III. The political novelist Richard North Patterson wrote me with an idea of how it might work. “In Richard’s stead,” Patterson suggests, “a morally deformed Trump ruthlessly dispatches the pitiful aspirants to the throne — Marco Rubio and Ted Cruz — in order to win the hand of a surrogate for Lady Anne: the G.O.P. in the guise of Reince Priebus. I too have compared Trump to Macbeth for “his readiness to override convention in his lust for power,” as well as to the narcissistic Lear “for the way he’ll sacrifice his country to his ego.” The problem with comparing Trump with tyrants like Macbeth and Richard, however, is that it aggrandizes him. He would like nothing more to be seen in such company. Unlike Macbeth and Richard, Trump is a coward incapable of taking decisive action. He can’t even fire people face to face, much less murder Duncan or take up arms on Bosworth Field. I’ve concluded, therefore, that he is more like Iago, someone who lurks in the shadows of giants rather than standing shoulder to shoulder with them. He’s better at venting his resentment against his black superior by whispering poison into people’s ears. Like Iago, he violates what is honorable and pure. It’s the story of an out-of-towner named Ivan Khlestakov — a civil servant of no great means or talent but with spendthrift habits and unlimited chutzpah — who is mistakenly taken by the corrupt local mayor as a secret government inspector. Khlestakov takes advantage of the mistake to extract big loans from the locals, bully the mayor, and run off with his daughter. His imposture is revealed only after he’s left town. I think Khrushcheva and Stephens have it right here. Trump is not a towering figure but a cheap provincial con man who, almost by accident, managed to hit it big. I too have compared Trump to Gogol con men (here and here), wondering if he’s more like Dead Souls’ inept Nozdrev, a pathological but engaging liar, or the calculating Chichikov, who repels us with his coldness. I once thought #1 but am now leaning towards #2. Put an absolute ban on quoting his tweets unless they contain substantive policy announcements. Stop sending reporters to his press conferences, which long ago became theaters of no information. Write more about what the administration does, less about what Trump says. Report news that has nothing to do with the administration at all. Award journalism prizes to stories that don’t contain the word “Trump” at all. [I]n an era in which the president is constantly trying to impose his fictions on reality, it’s incumbent on the rest of us to keep the two separate. Understanding what fiction is, and all the ways Trump seems to spring from it, is a good place to start. Sure, we shouldn’t fall for fake news. But literary fiction is something altogether different. Given literature’s insights into human nature, the question is which work applies most to a particular individual or situation. Trump might like to see himself as a bigger-than-life action hero, but Shakespeare, Gogol, and Aristophanes help us cut him down to size. Further note: It so happens that my forthcoming book specializes in finding Trump literary comparisons, so I’ll be sending Stephens a copy. Read, Reflect, Resist: Classic Lit vs Trump and Trumpism is due out this month. This entry was posted in Aristophanes, Gogol (Nikolai), Shakespeare (William) and tagged Aristophanes, Donald Trump, Henry IV Part I, Henry IV Part II, Lysistrata, Macbeth, Nikolai Gogol, Othello, Richard III, William Shakespeare. Bookmark the permalink. Post a comment or leave a trackback: Trackback URL.